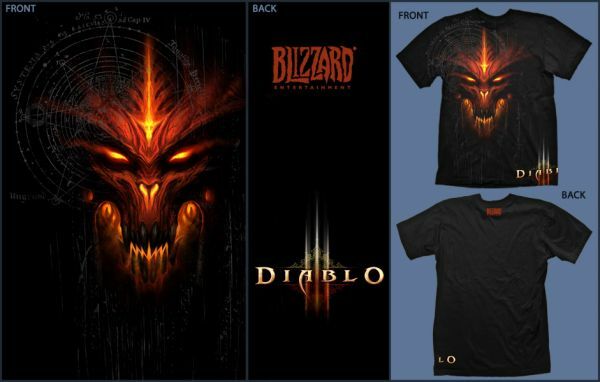 Diablo III fans can now satisfy their urges for collecting Diablo stuff with this cool Diablo III T-shirt design which contains the Diablo III logo on the lower-right torso, and the red Blizzard logo in the back by the neck area. Perfect for a gift too. You can order these T-shirt here while supplies last — and trust me, these are going faster than hot bread sticks and sauce. I’m not sure I get it… is it a person? Heya i am for the primary time here. I came across this board and I in finding It really helpful & it helped me out much. I’m hoping to give something again and aid others like you helped me.